The Renz 1 Well – drilled by Range Resources into the Marcellus Shale a decade ago. 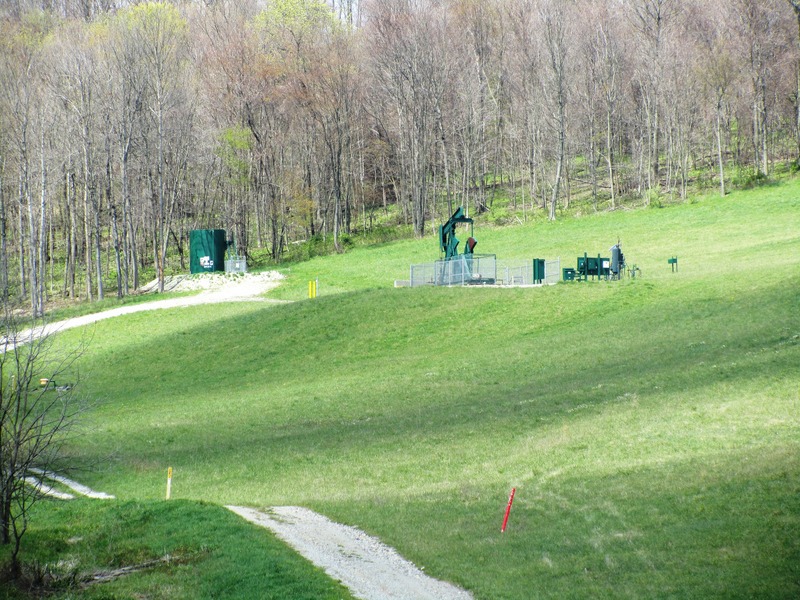 This month marked the 10 year anniversary of the first well ever drilled into the Marcellus Shale. Today, with over 8,000 Marcellus wells developed in Pennsylvania, the state now produces over 16 billion cubic feet of natural gas per day. This development has created jobs, strengthened Pennsylvania’s economy and has helped put the United States back on the road to recovery. To commemorate the success of the Marcellus Shale in Washington County, Pennsylvania, the county’s Chamber of Commerce held a gala where local politicians and industry representatives were invited to speak. A couple of the more widely known speakers included Nissa Darbonne, Editor-at-Large of Oil and Gas Investor and the author of The American Shales, and Ezra Levant, TV host and author of a book on hydraulic fracturing called Groundswell. Ezra is well known in the region for his segment on hydraulic fracturing in the Marcellus Shale, which aired on The Source, a Canadian news program, back in July. Our resources seemed to be dwindling, and then good old American innovation came into play. New technology and more efficient operations have contributed to the Marcellus Shale’s incredible production, allowing us to produce the most domestic energy this country has ever seen. After listening to the speakers the theme for the night was clear: transformation. This industry has not only transformed itself through better practices and innovation but it has transformed the United States into an energy super power. That’s something we can all celebrate as we commemorate the well that started it all.